Six years ago when sandalwood’s first ever crowd funded feature film Lucia directed by the talented Pawan Kumar hit the screens, it left a mark of its own life with two promising actors emerging out of it. Actor Sathish Ninasam and Sruthi Hariharan, who played the lead went onto attain stardom in their own perspective. From portraying supporting roles, Sathish Ninasam has reached the coveted spot as one the top actors in the Kannada film industry at present with a perfect blend of commercial and the realistic ventures which are high on content. His previous release Ayogya was one of the highest grossing films in 2018. He is back in another highly anticipated movie Chambal directed by Jacob Varghese. The movie has been in the news for its alleged connection with that of IAS officer D K Ravi, who died in unusual circumstances. With the movie releasing soon, Sathish opens up on Chambal and more. 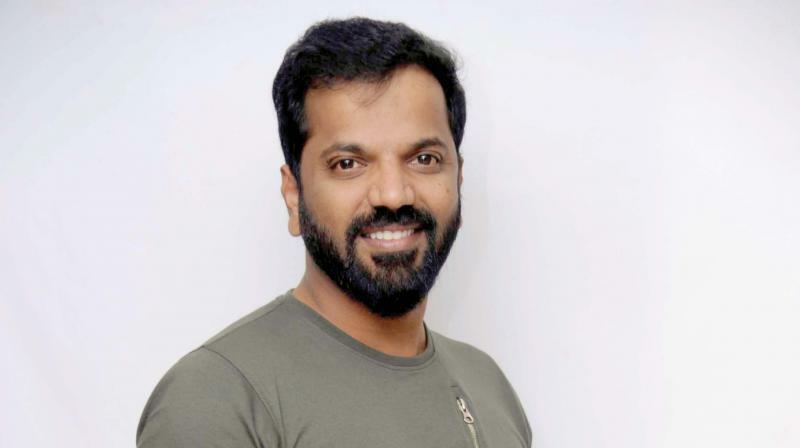 Born and brought up in Mandya, his passion drew him to learn the required skills in a theatre group called Ninasam, and then ventured into plays and dramas before taking the small screen route before landing in films. Initially, Sathish did a handful of films in supporting roles before Lucia turned his fate. He now has his own production house — Sathish Picture House. In fact, the actor reveals that it was the director Jacob Varghese, whose film Prithvi starring power star Puneeth Rajkumar in an IAS officer, inspired him to take up the film. “After I watched Prithvi, I became a huge fan of Jacob Varghese. The film showcases Puneeth in an effective and yet a classy role as an upright officer. I wished I could get a similar role to do. So when the director offered me a similar role, I just accepted it without going much into it,” he adds. The actor shocked everyone when his marriage news broke out with him announcing the birth of his daughter! The actor had married Supritha, a relative of his in 2014 attended by only a few. “She is the love of my life. I wanted to reveal it after the release of a film but it got public much before it,” the actor says. Insofar his role as an IAS officer is concerned, Sathish who has passed his matriculation (SSLC) in real life says that he had to prepare himself for the character along with learning proper English. “Until Chambal, it was like a home pitch for me, where I could score easy runs but this was more like an Australian pitch for which I had to put in a lot of effort. I was skeptical too if a well-dressed and clean shaven look as an officer would suit me but it worked well in the end,” he shares. That apart, he has Godhra in the making, and then a Tamil venture for which he has learnt to speak Tamil. It was launched in Switzerland in December last year. The actor even turns director with My Name is Siddegowda. “An artiste has to take a call on his journey ahead and I have decided to direct my own venture,” he concludes.